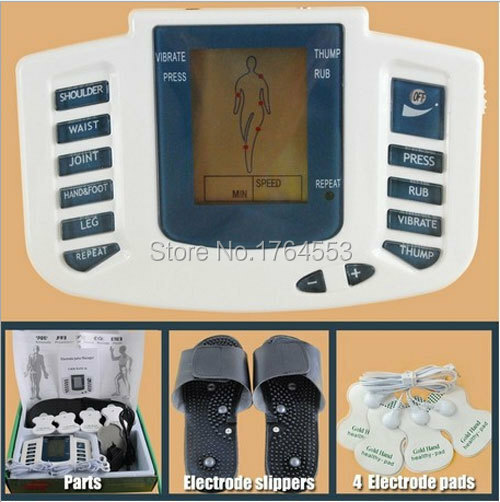 You can choose any of the treatment modes (shoulder/waist/joint button/foot). 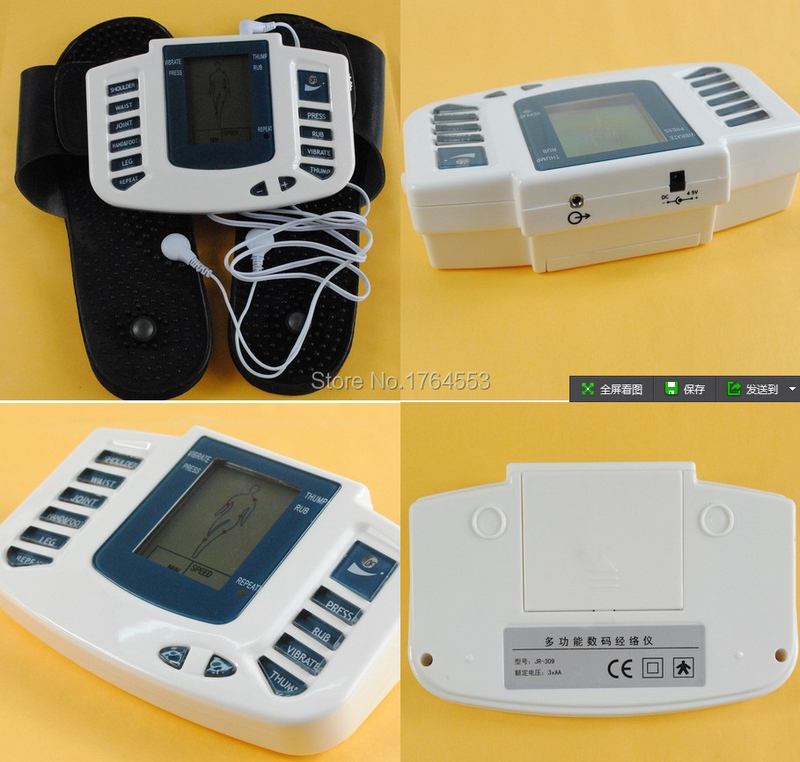 The product is specially designed for lessening pain in muscles, The apparatus can produce curative effect particularly to the patients suffering from the pain in neck, back, loin and various joints. The exclusively designed program consists of different waves through alternative composition, giving a feeling of manual massage by hand. 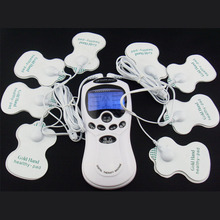 The soft and gentle pulse can improve the blood circulation and promote main and collateral channels unblocked and give a special effect on releasing fatigue. 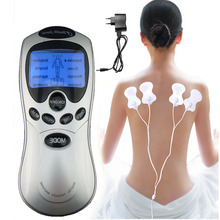 Use kw305 pulse massage for stiffness of shoulders. Paralysis of peripheral nerves. Recovery of fatigue. 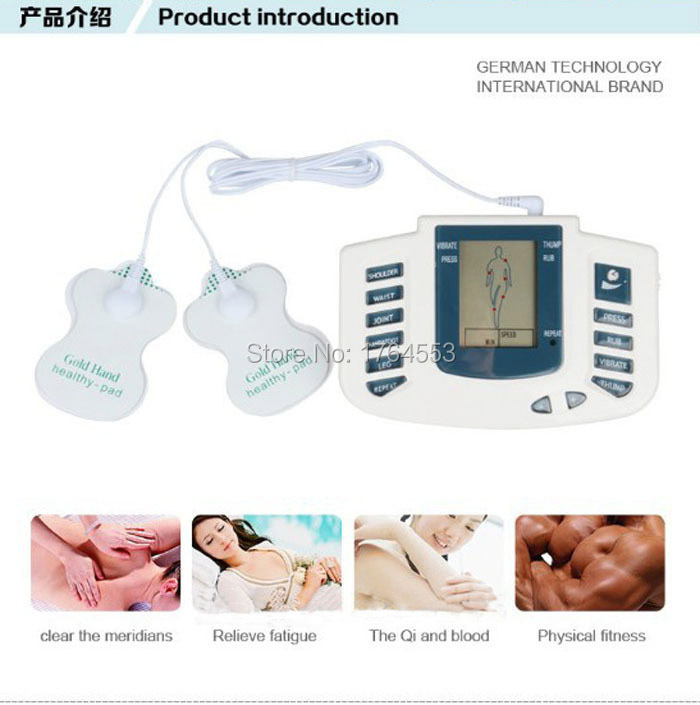 Improves blood circulation neuralgia. Gradual release of muscular pain. Preparing & setting the electrodes 1. Correctly connect the electrode cord to the electrode pads or magnetism shoes. 2. Insert the plug of the electrode cord into the unit electrode jack. 3. Pull off the film from the electrode pads. 4. Use a damp towel to wipe the area of skin on which you will be affixing the pads to remove any oil, cosmetic or dirt. 5. Should the electrode pads be soiled, both their adhesiveness and the number of times of possible use will be reduced. 6. 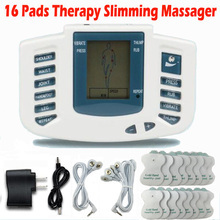 Apply the electrode pads to the area of the body you wish to massage. The unit can’t operate unless both pads from at lease on change are applied. Button description total 13 buttons 1. “Shoulder” button: suit for massage on shoulder and back. Press speed “+”/ “-” button to adjust the intensity. And speed is automatically reduced or increased. It takes 30 minutes (Press->Rub->Vibrate->Thump) 2. “Waist” button: designed for waist massage. Waist massage state will be shown on screen. And change mode per 5 minutes(Press->Rub->Vibrate->Thump), Press speed “+”/ “-” button to adjust the intensity. 3. “Joint” button: designed for joint massage. Change mode per 5 minutes (Press->Rub->Vibrate->Thump).Press speed “+”/ “-” button to adjust the intensity. 4. 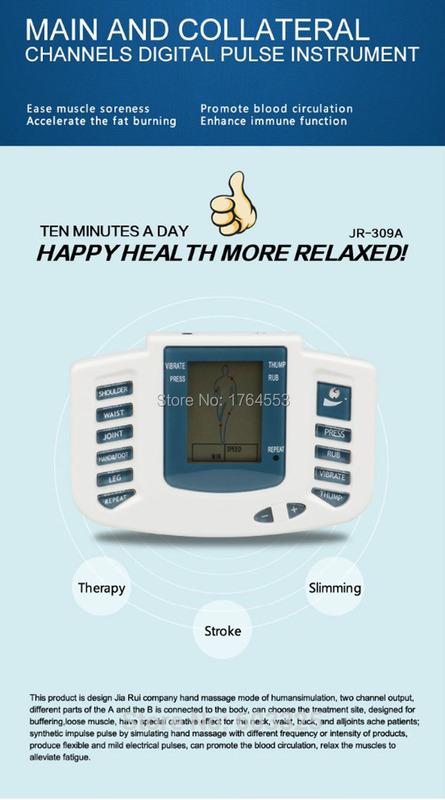 “Hand & foot” button: suitable for hand and foot massage. The state of hand and foot massage can be changed per 5 minutes. (Press->Rub->Vibrate->Thump). 5. “Leg” button: Adjust to leg massage, massage mode change every 5 minutes.Press speed “+”/ “-” button to adjust the intensity.And speed is automatically reduced or increased. 6. Repeat button: It is useful only under the state of above 5 states press this button to repeat above 5 different massage function. 7. The massage time & speed displayed on screen. 8. Speed & intensity: both include high(+) & low (-) button. Press high button to increase grade. Press low button to reduce grade. 9. ”Thump” button: Press it to start tot thump massage. 10. “Vibrate” button: Press it to start to vibration massage. 11. “Rub” button: Press it to start to rub massage. 12. “Press” button: Press it to start to press massage. 13. ON/OFF: turn on the button to start the device. Turn off to stop working. There are 8 grades for electronic intensity. * Power Adapter (US ,EU,AU)*1, when you order, pls leave message which adapter do you need, or else ship adapter at random! 1.We accept alipay,All major credit cards.